Last week, JainMatrix Investments conducted a Stock Market Awareness Presentation for employees of an IT services company in Bangalore. The one hour session was meant to expose some of the basics of the stock market to new investors, as well as touch upon some advanced concepts to more experienced investors. This initiative is a small attempt to help people develop the right attitude towards equity and stock markets. I have also tried to address the typical myths and misconceptions they have. 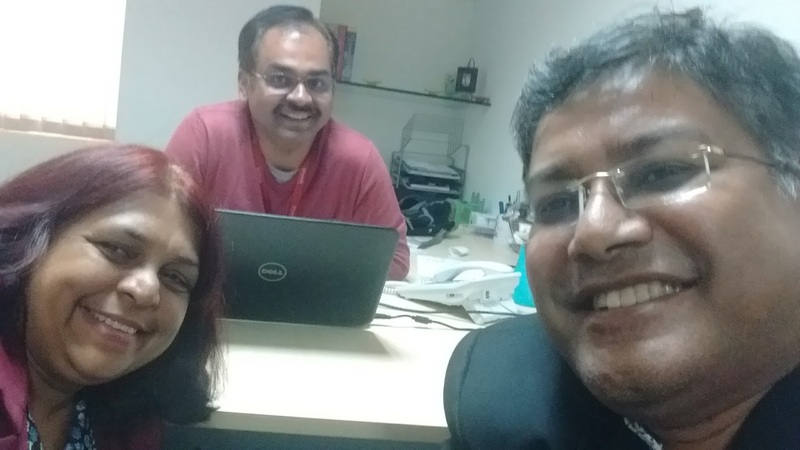 With Mr Sudev Alampalli, the India Operations Head (center) of Snuvik Technologies, Ms Reena Serrao, a colleague (left) and me.